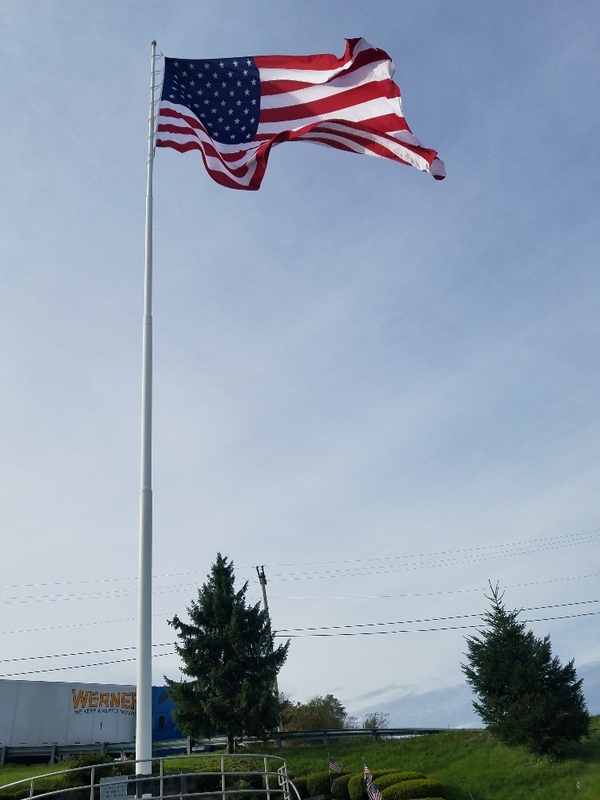 The Large flag was lowered for the winter. It will require minor repairs. A small flag was raided for the winter months. Even with all he accomplished in service to our Nation, President Bush remained humble. He never believed that government - even when under his own leadership - could be the source of our Nation's strength or its greatness. America, he rightly told us, is illuminated by "a thousand points of light," "ethnic, religious, social, business, labor union, neighborhood, regional and other organizations, all of them varied, voluntary and unique" in which Americans serve Americans to build and maintain the greatest Nation on the face of the Earth. President Bush recognized that these communities of people are the true source of America's strength and vitality. 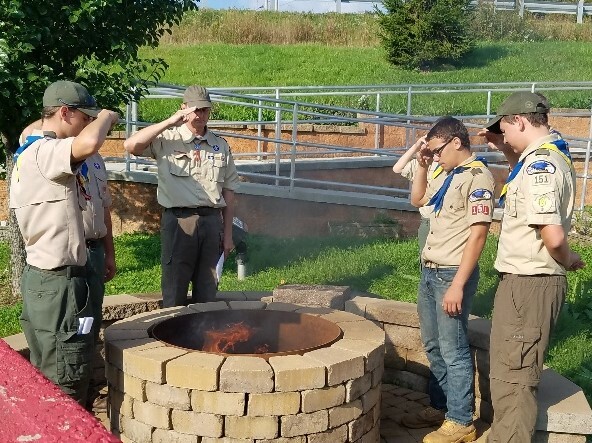 The Shanksville Boy Scout Troop 151 in conjuction with the National Park Service held a Flag Retirement Ceremony at the site Saturday morning. 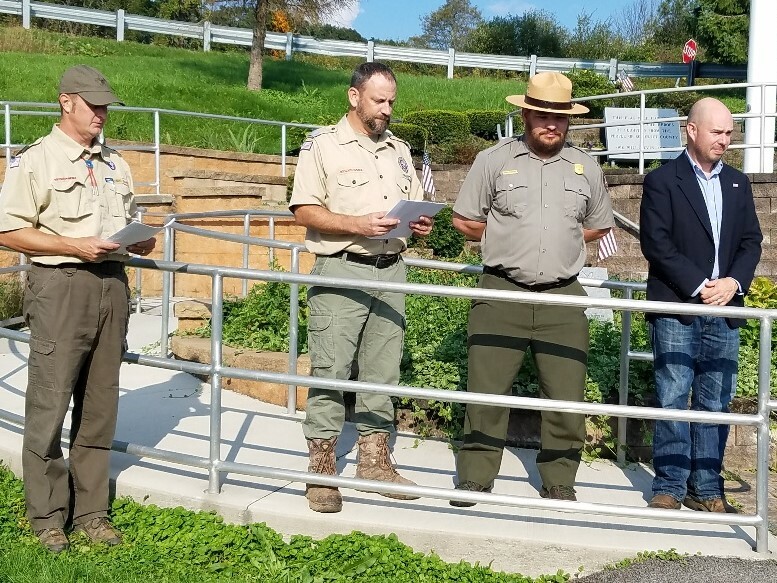 The Committee lowered the small flag and raised a big flag. 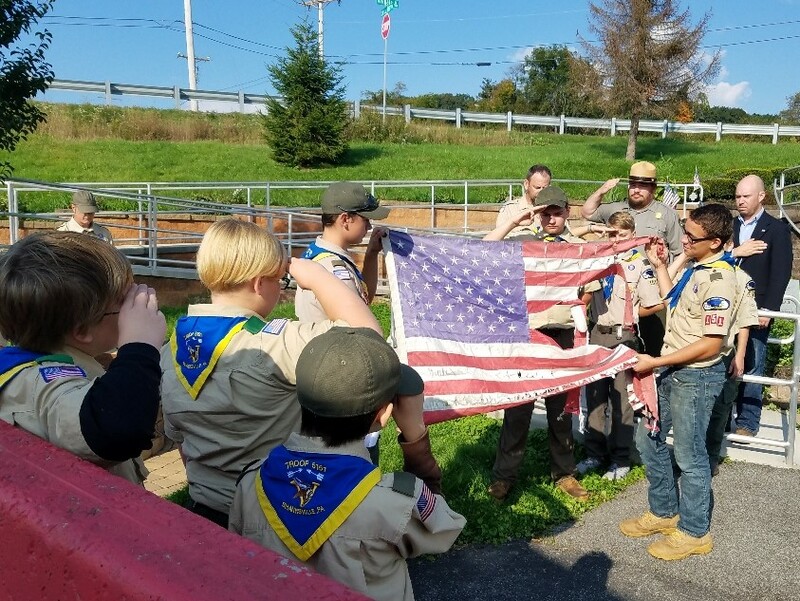 We hope to keep this flag up beyond Veteran's Day. 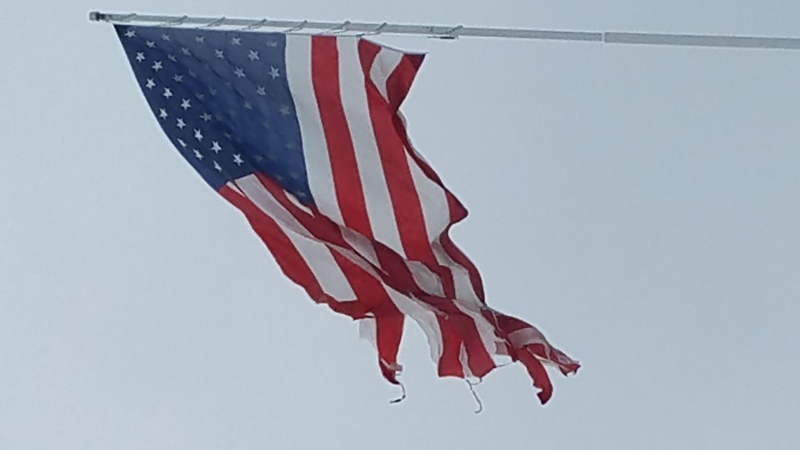 During the afternoon of the 13th we received a call from the Quality Inn telling us that the flag was "snagged" and needed attention. 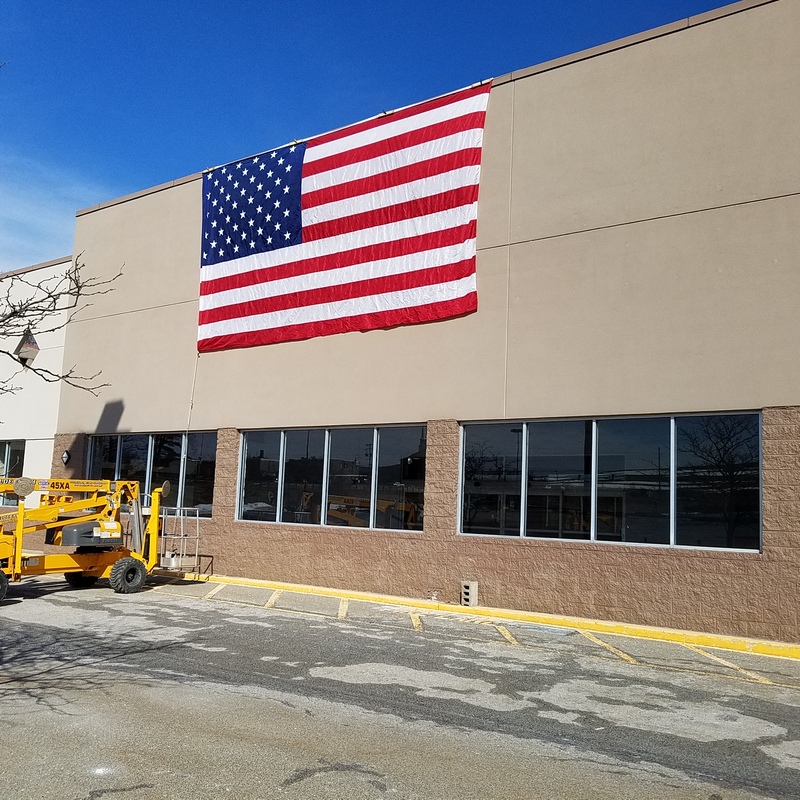 With the help of Brandon Feathers we lowered the large flag. The morning of the 14th we raised the flag donated to the Committee after the MEGASHOW. 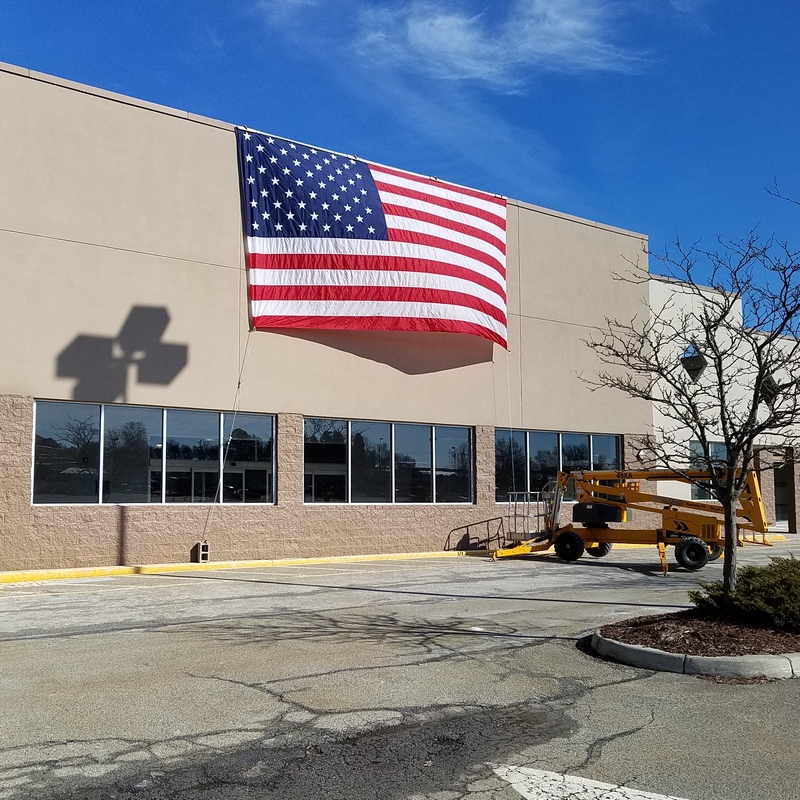 It will fly for a few days until we can raise another large flag. 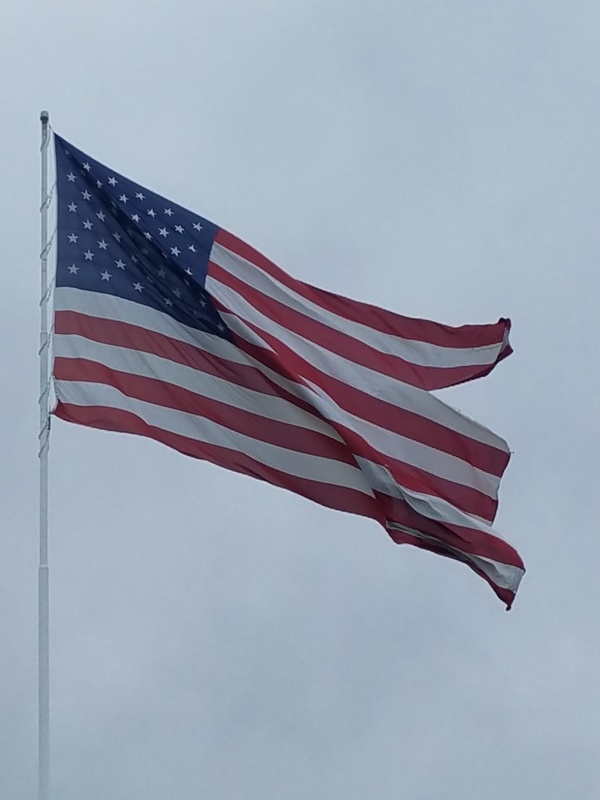 The large flag raised June 27 only lasted until July 6, 2018. 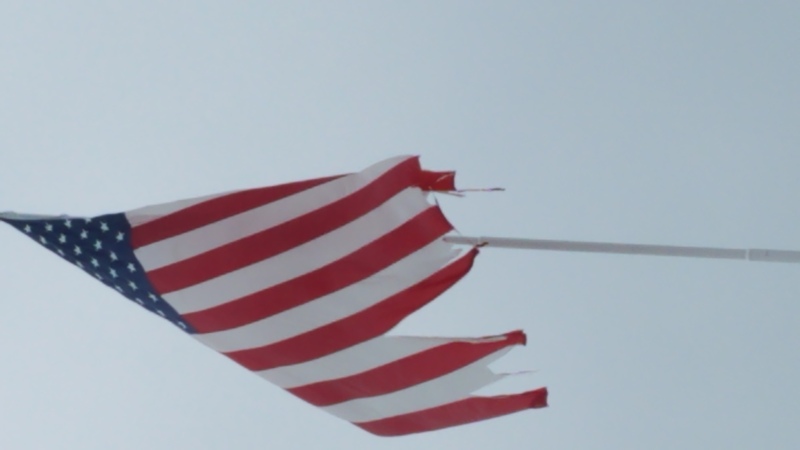 Again high winds damaged the fly side of the flag. David Jones and Stew Saylor managed to get the large flag down and the winter flag raised. 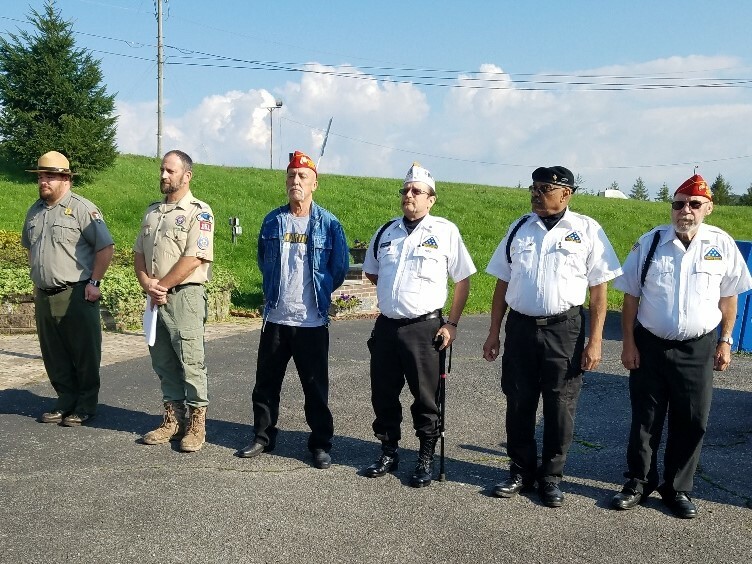 The Committee raisded a cotton flag on July 8, 2018 and continued to work on site cleanup of the well watered vegitation. 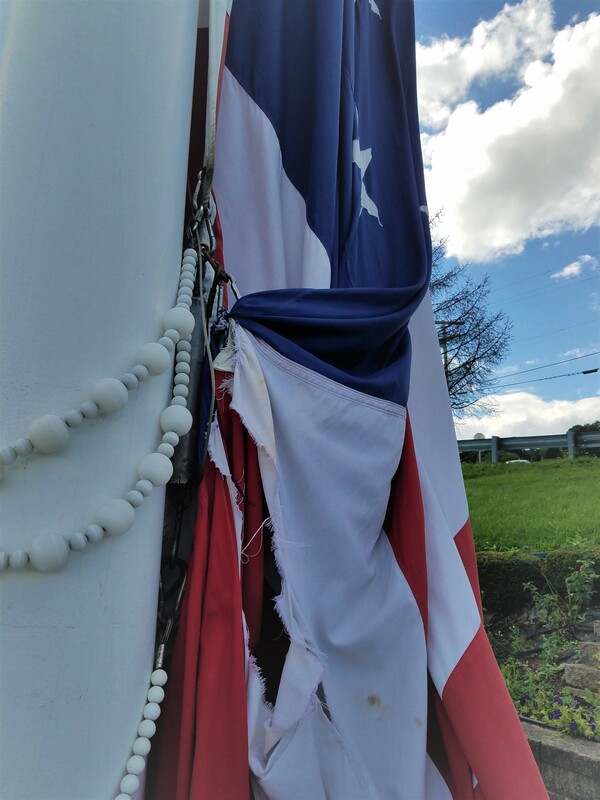 The nylon flag raised May 23 was damaged by high winds. The top 9 rows of stripes and the blue field are missing. A winter flag was raised until June 27 when a large polyester flag was raised by the Committee. 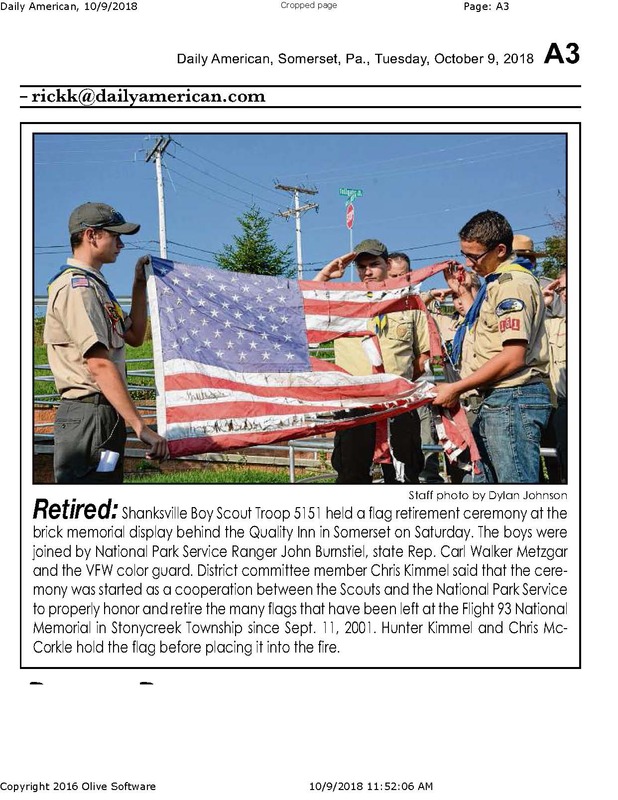 Our Big Flag was raised May 23 by the Committee with the valuable help of Mike Fromhold, Paul Kelly and Jim Drazenovich. The winter flag was lowered for repair. The Committee also completed a multi-day clean up effort. The results are displayed below. 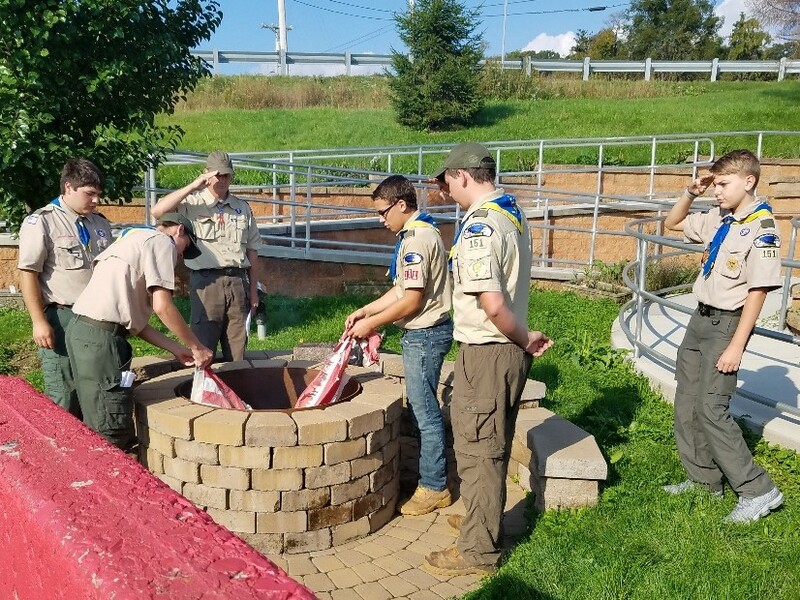 We could use help during the summer months to continue the effort. Please contact the Committee if you would like to help. President John F. Kennedy declared the first Peace Officers Memorial Day on May 15, 1962, as a tribute to peace officers and in honor of peace officers who, through their courageous deeds, lost their lives or became disabled in the line of duty. This day has been observed in our country annually ever since. Again the Committee provided a flag for display at the MEGASHOW. with approval of the Committee. During the show, the Committee was contacted by Jim and Ann Thome. They donated a flag larger than the one pictured above to the Committee. 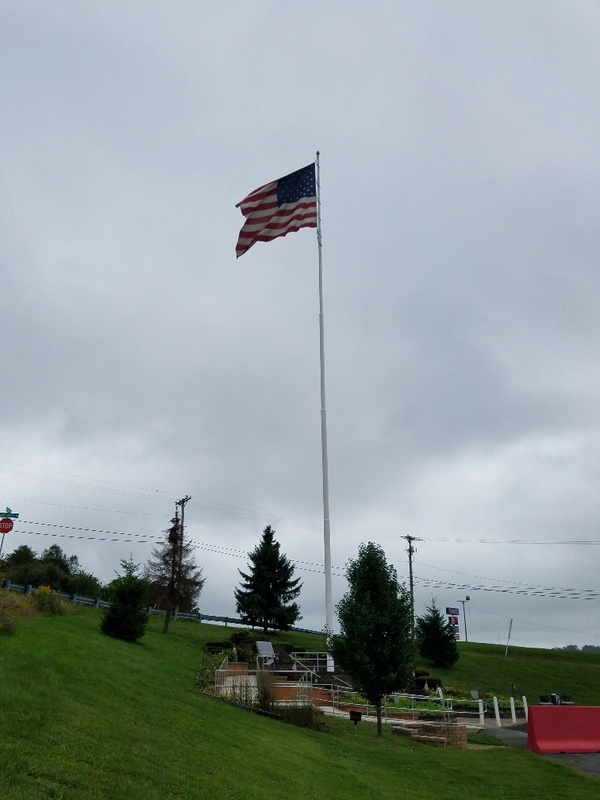 The donated flag is smaller than our 30 ft by 60 ft flag and may be used when our large flags are being repaired. The Committee thanks Jim and Ann for their donation. 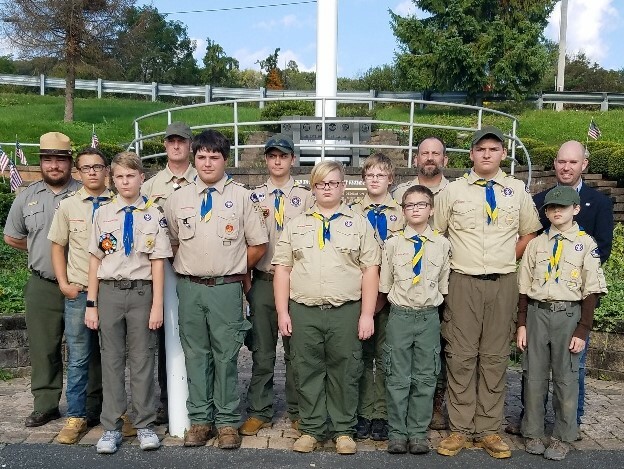 Copyright © 2019-2009 Somerset County Flag Committee, Inc. All Rights Reserved.